I am still playing around with my new airbrush. 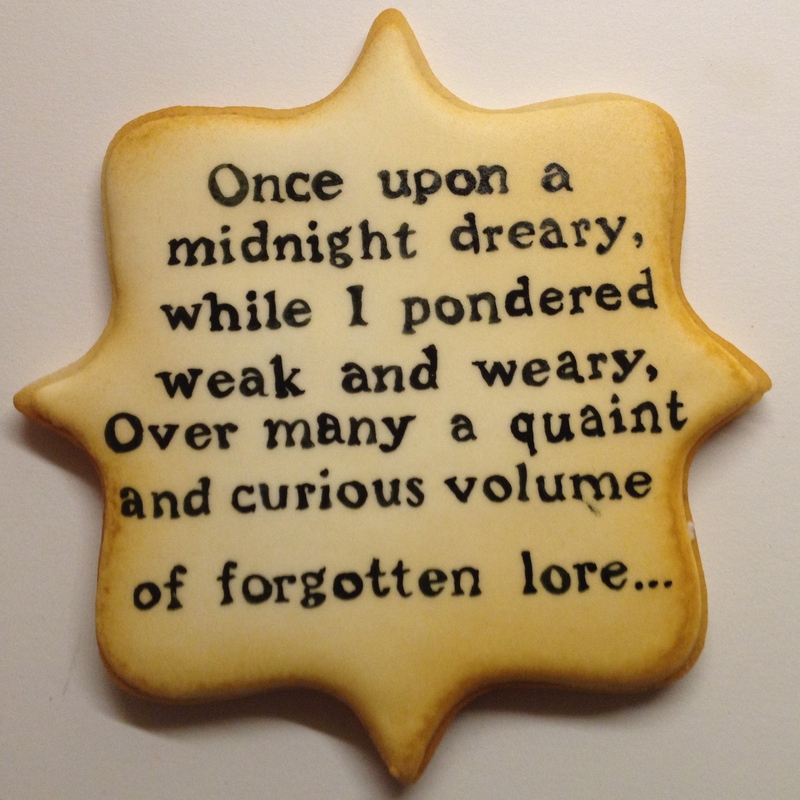 For my final set of 2014 Halloween cookies, I used it to create a neat antique effect. I am totally in love with these cookies. Each cookie took several days to make because it was a layering process. First, I iced each cookie with white royal icing. Then I airbrushed each one to create the antiqued effect. Next, I piped the raven, bust, and watch with white royal icing. Finally, I painted the details. Even though it required a bit of effort, I will definitely use this layering technique again. I am already dreaming of holiday cookies and baby cookies and Valentine cookies. You will see more of this. 1 year later... so much hair.